Shopping for Sports: Wrestling Action Figures? Expand the mix-and-match fun of creating your own WWE Superstar with these expansion packs that feature additional accessories to amp up the action! 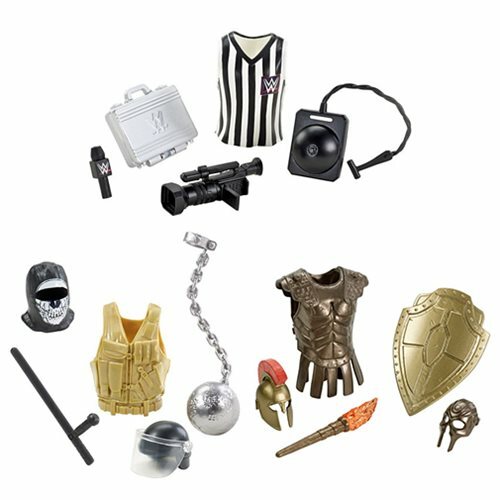 Each pack includes costume and brawling accessories designed to work with the 6-inch WWE Create a WWE Superstar Action Figures (sold separately). From street fighter to gladiator, these accessories packs are perfect your Superstars in the ring! Ages 6 and up.